This was the advice of Movement for Social Justice (MSJ) leader, David Abdulah to Chief Justice Ivor Archie today. 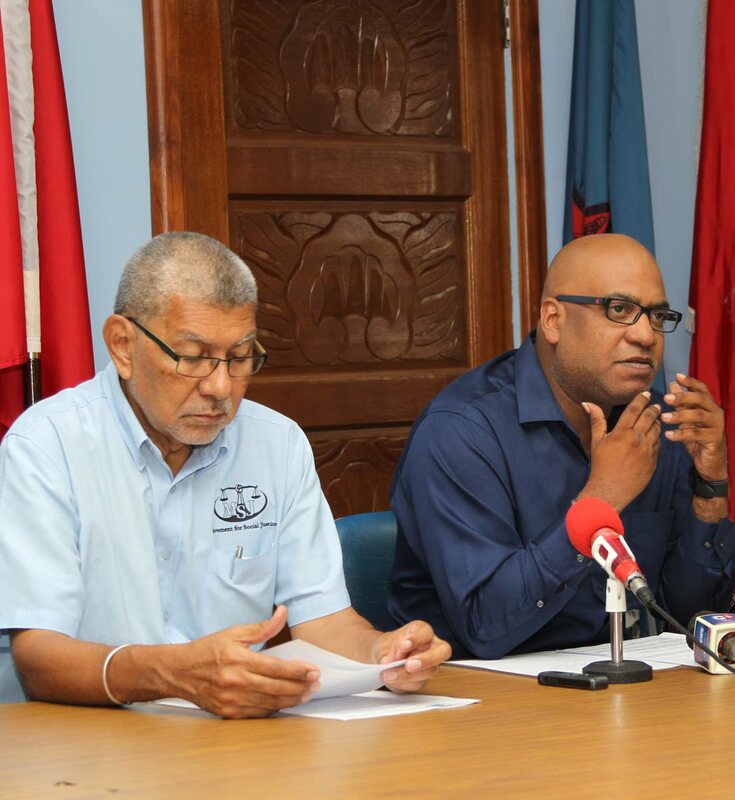 Abdulah’s advice comes on the heels of the decision by three Privy Council judges on Wednesday to give the Law Association of TT (LATT) the all-clear to continue their investigation into allegations regarding Archie’s conduct. At a press conference at the MSJ headquarters in San Fernando, Abdulah said while he does not want to jump to conclusions, it seems an impeachment is imminent once the LATT presents its finding to the Prime Minister. “We don’t know what the findings of the LATT's committee’s work will be and we do not want to jump to any conclusion as to what they will find, but certainly we are in a situation now where the tenure of the CJ is really very questionable. The LATT had started investigating allegations made in media reports, accusing Archie of attempting to persuade judges to change their state-provided security in favour of a private company where his friend, Dillian Johnson, was employed. Archie was also accused of trying to fast-track Housing Development Corporations (HDC) applications for several people. He responded to those allegations once, denying discussing judges’ security but admitting to recommending people for HDC houses. Abdulah said given the turmoil in the Judiciary, an impeachment would only worsen the situation. He said government also needs to respond to the LATT committee’s recommendations on changing the way in which judges are appointed before appointing any new judges. Reply to "Abdulah’s advice to CJ Archie"